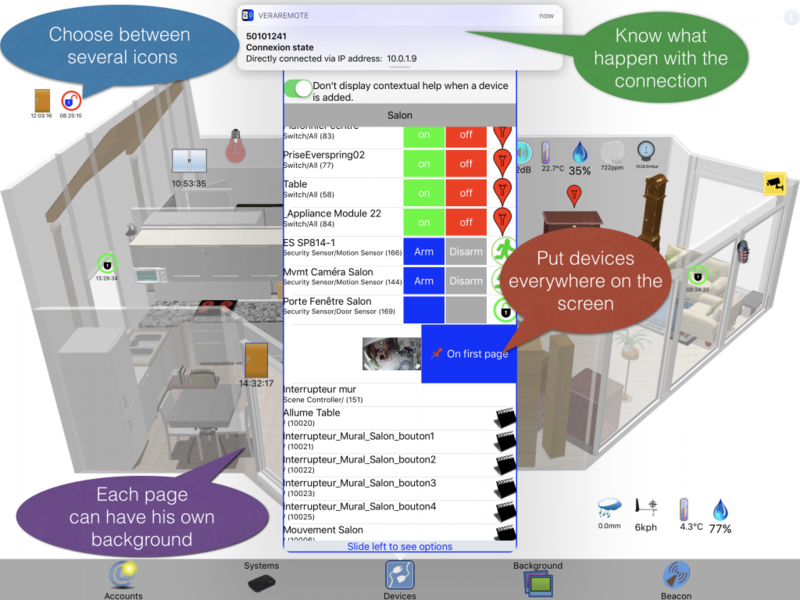 The only application that allows you to control elements of your home automation without passing through menus. Everything is on the screen or the various screens that you will easily configured. You can control several Vera systems, either directly or through your Vera account. Draw your own wallpaper corresponding to the area you want to control and put this drawing in the background of the application.